American combo guard A.J. Slaughter will move to Strasbourg for the upcoming season. American combo guard A.J. 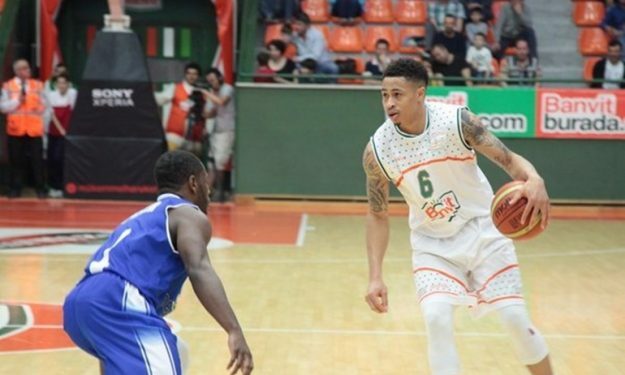 Slaughter will move to Strasbourg for the upcoming season. As the French club announced, the player penned a one-year deal with the team. Slaughter, who also owns a Polish passport, has spent his entire career so far playing in Europe. He was last a part of Banvit Bandirma, with which he averaged 10.4 points and 2.5 assists per game in Eurocup. The 29-year old player also possesses Euroleague experience, from his days with Panathinaikos, during the 2014/2015 season. With his new team he is going to participate in the FIBA Champions League, apart from the French Pro A.